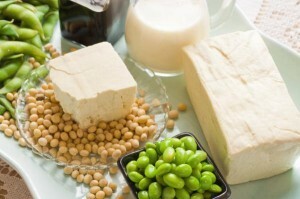 Tofu, edamame and soy milk, to name a few, are food derivatives from the soybean. Long a food staple in Asian diets, soy has gained popularity in the United States as a plant-based protein alternative to animal protein. 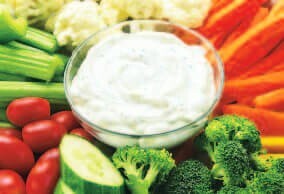 Proteins are essential for growing and repairing the skin, muscles and vital organs of the body. To assure the body functions in a healthy and efficient manner, it is important to consume a variety of protein sources daily, such as poultry, fish, beef, dairy products, nuts, grains and beans. Soy, like animal proteins, is a complete protein, meaning it contains almost all of the essential protein nutrients the body requires. The Centers for Disease Control and Prevention recommends that 10% to 35% of our daily calories should come from protein. This translates to approximately 46 grams of protein for female adults and 56 grams for male adults, allowing for age and weight variations. The Harvard School of Public Health notes that both plant and animal proteins have the same effects on our health. However, they caution that individuals need to be aware of other nutritional ingredients contained in various animal proteins. As an example, the School noted that a 6-ounce porterhouse steak provides 40 grams of complete protein. However, that same steak also contains 38 grams of fat (or about 60% of the recommended daily allowance for fat consumption). As our culture focuses increasingly on the problems associated with obesity and the positive results achieved by healthy eating, soy products continue to expand in the marketplace, offering an acceptable protein supplement. In contrast to the porterhouse steak, a cup of tofu contains the same 40 grams of protein and only 12 grams of fat. One cup of soy milk contains 11 grams of protein and 4 grams of fat, while whole cow’s milk contains 8 grams of protein and 8 grams of fat. A word of caution: phytoestrogens are plant hormones found in soy. These have shapes similar to that of human estrogen. Therefore, pregnant women are advised to check with their physician before substituting soy products in their diet. Soy products also contain the natural substance purine, which can worsen symptoms of gout. People with gout should not eat large amounts of soy products. 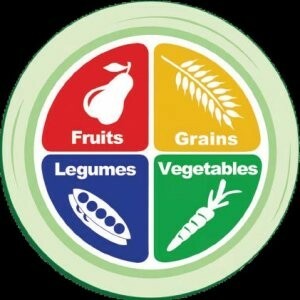 As with any food, moderation is key. The American Heart Association’s Committee on Nutrition notes that soy foods can be healthy protein choices, particularly as an alternative to foods such as red meat. Soy is low in saturated fat, but contains plenty of vitamins and minerals, and, in some foods such as edamame, plenty of fiber. The post Soy – A Healthy Protein Alternative appeared first on Specialdocs Consultants.